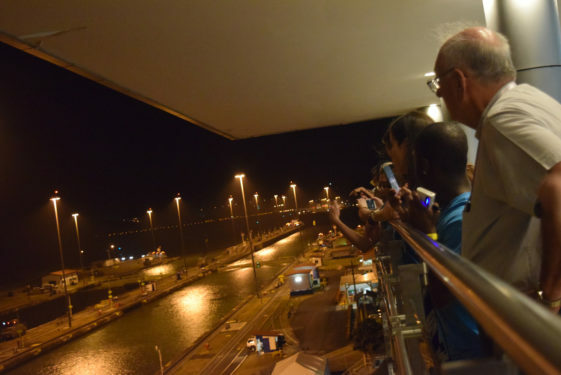 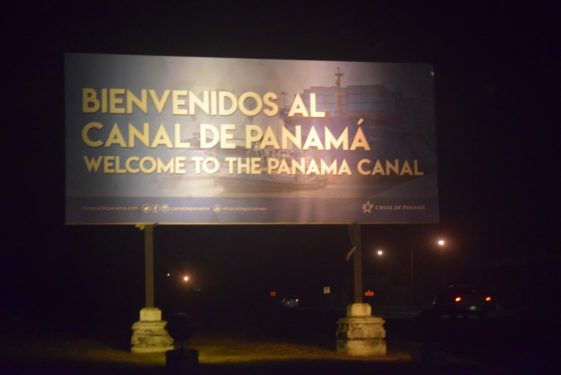 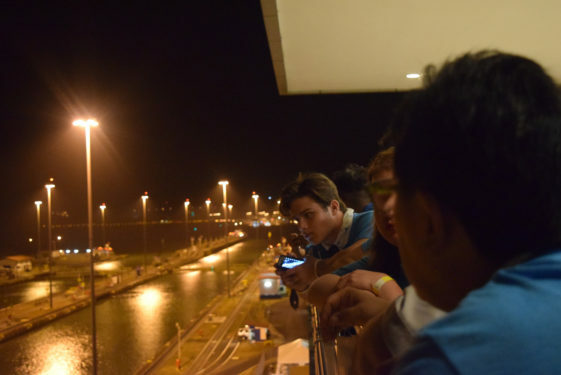 Bishop DiMarzio and Pilgrims over look the Panama Canal. 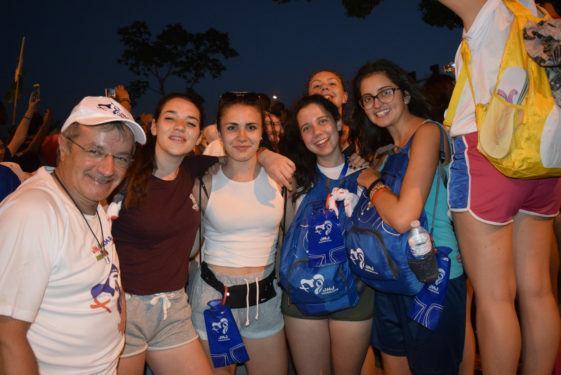 Father Sean Suckiel and his group of Pilgrims. 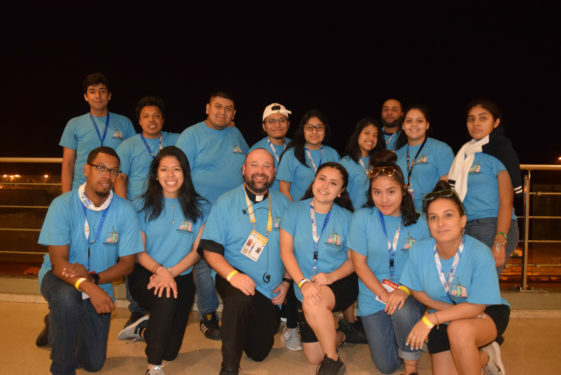 Our Lady of Sorrows, Corona pilgrims gather for a photo together. 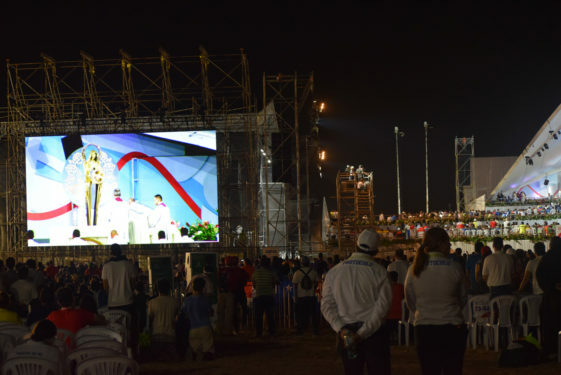 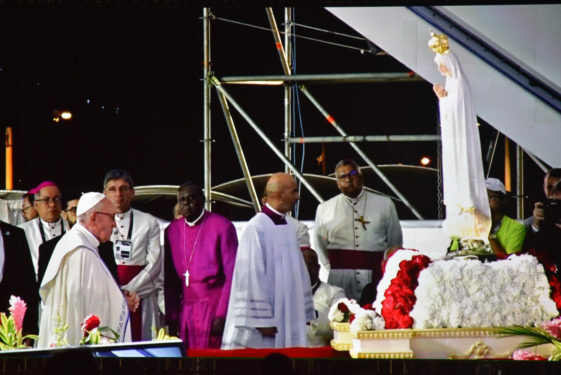 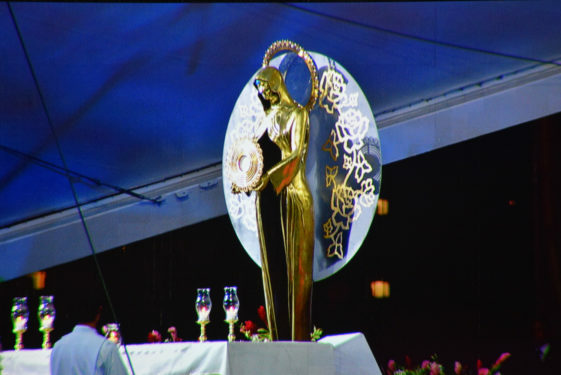 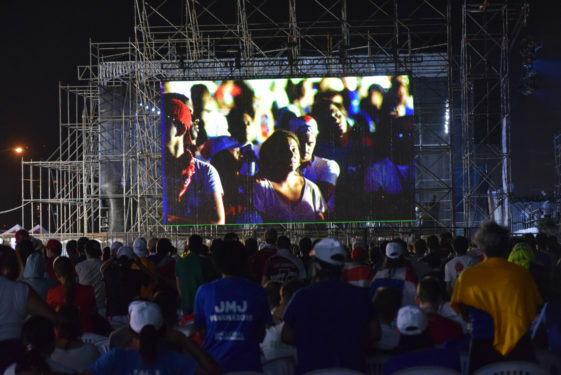 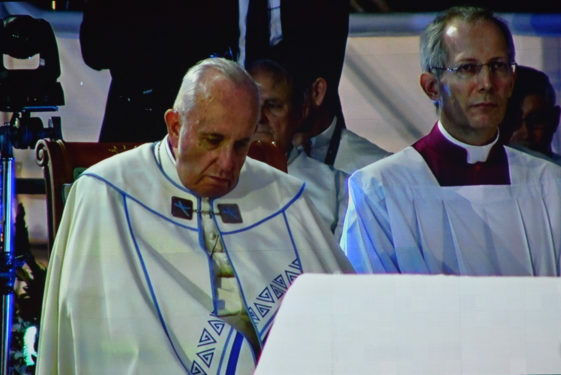 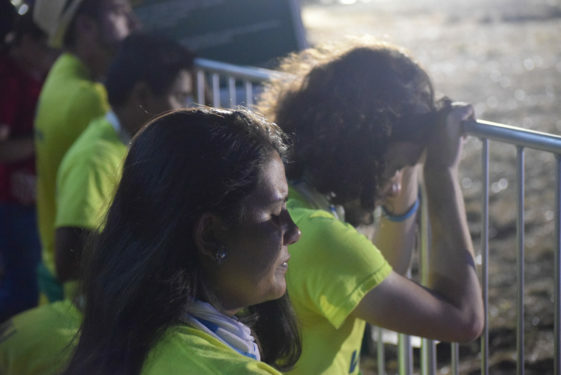 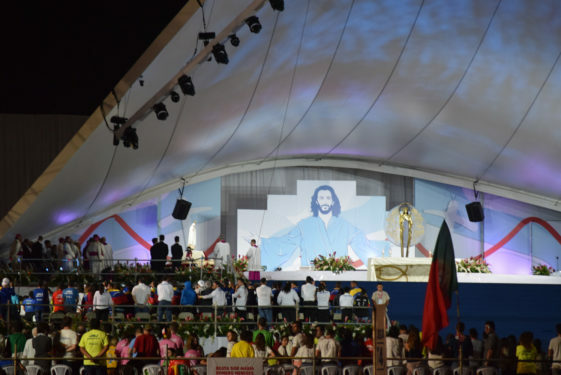 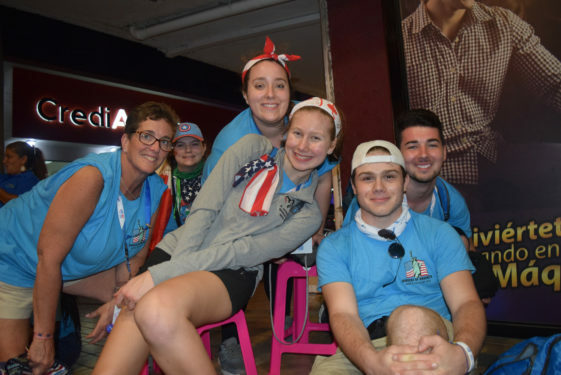 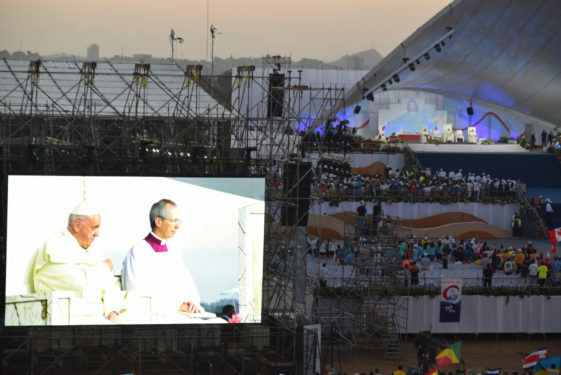 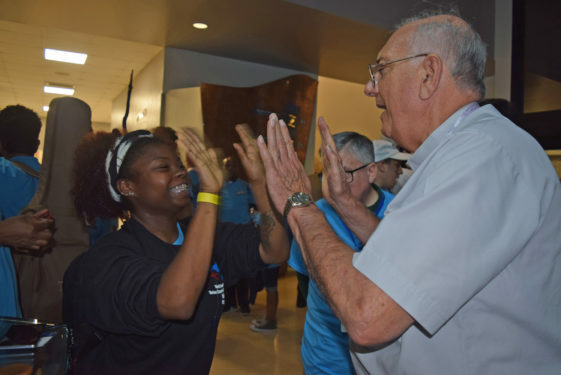 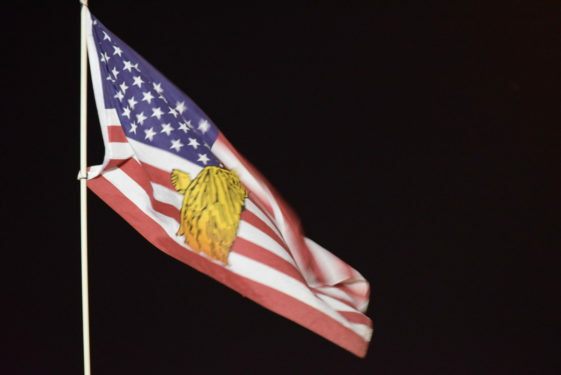 Pilgrims attended an overnight prayer vigil with Pope Francis. 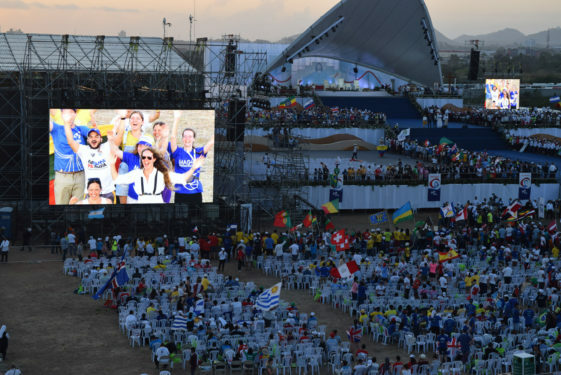 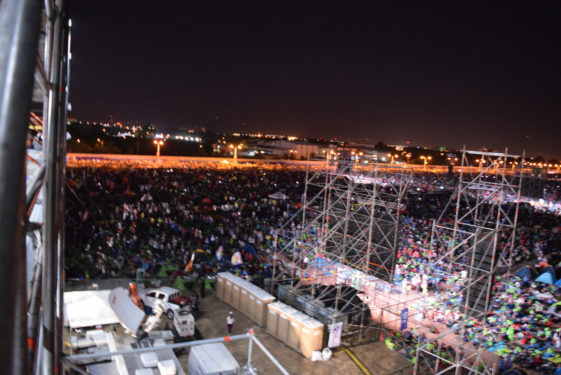 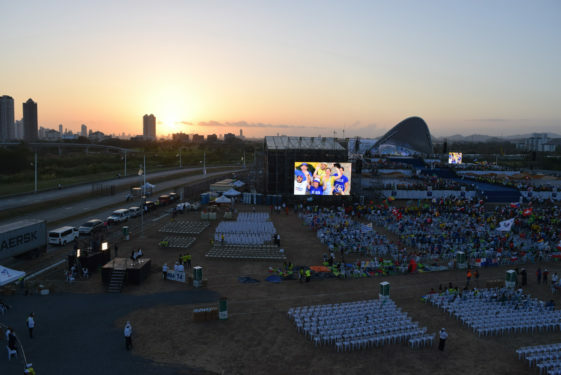 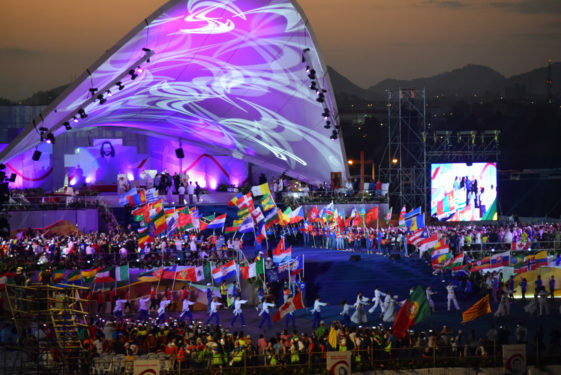 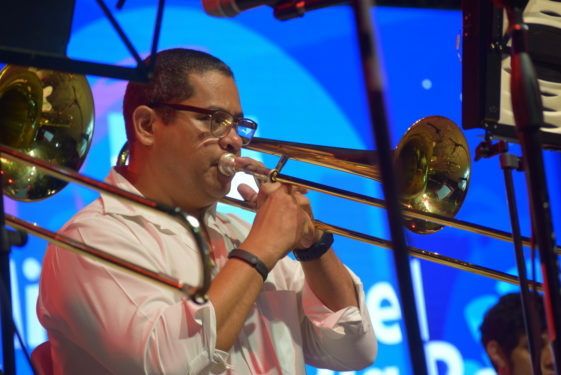 The lively night included Eucharistic Adoration led by Pope Francis, music, and fellowship with other international pilgrims. 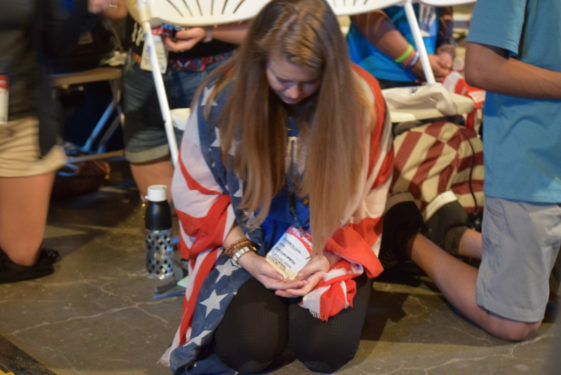 Many pilgrims slept on camp grounds, while some played card games, and met other pilgrims from around the world. 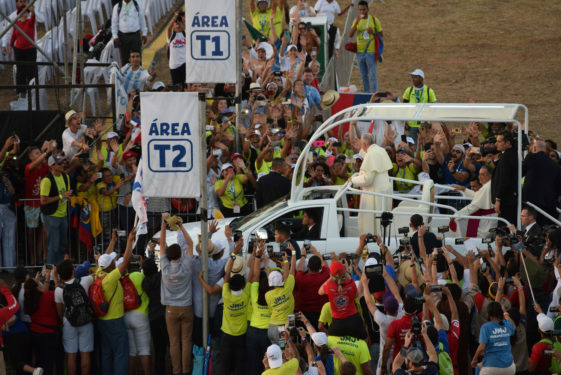 The final address of the Holy Father was in order to send the pilgrims out as witnesses to the faith, as Jesus did to the apostles. 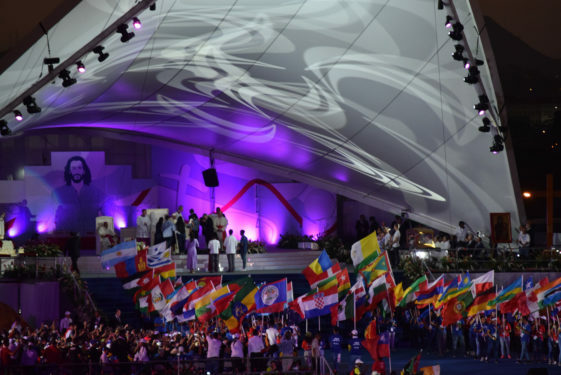 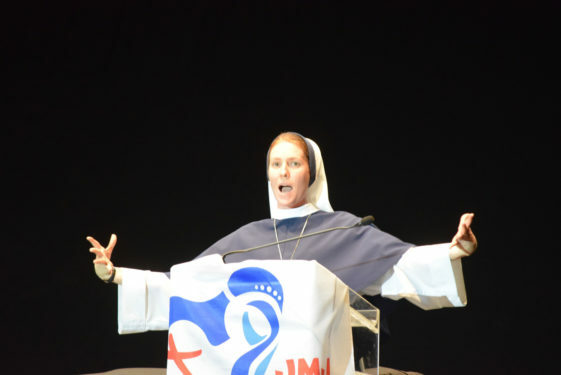 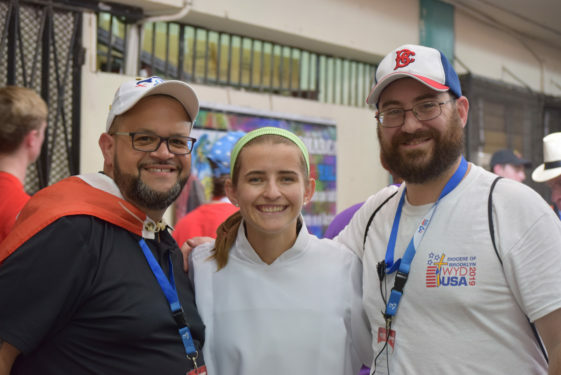 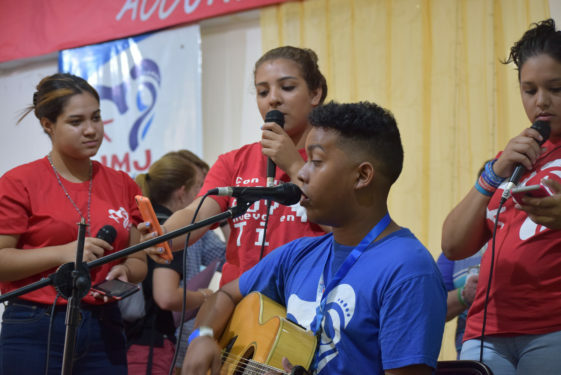 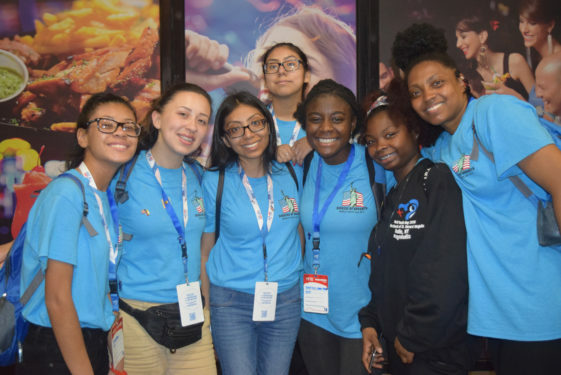 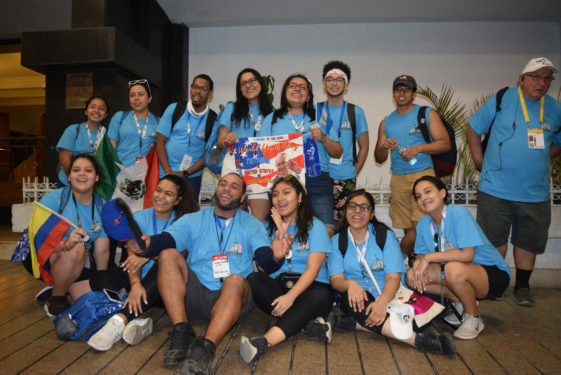 The announcement that World Youth Day 2022 would be in Lisbon, Portugal. 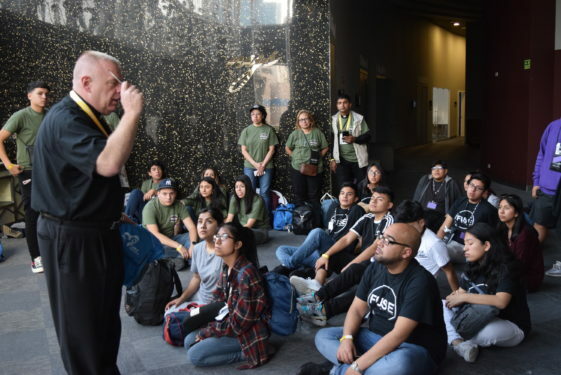 Father Gerard Sauer talks with his pilgrims. 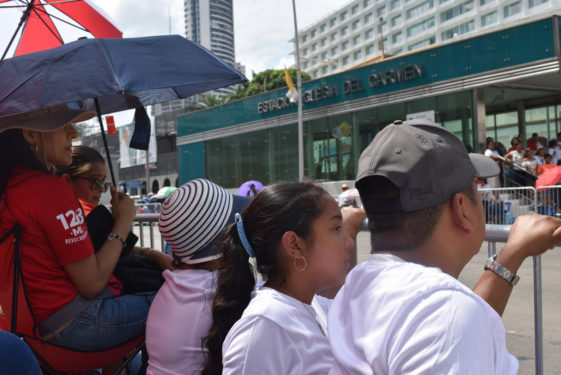 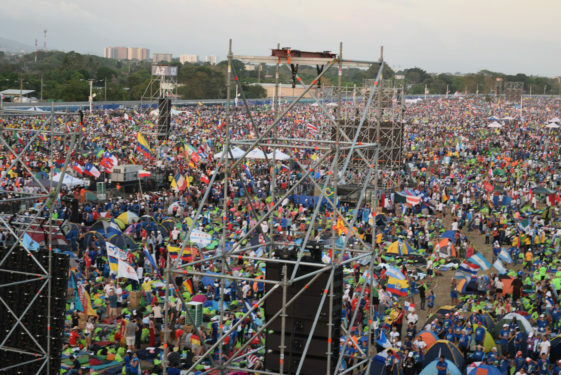 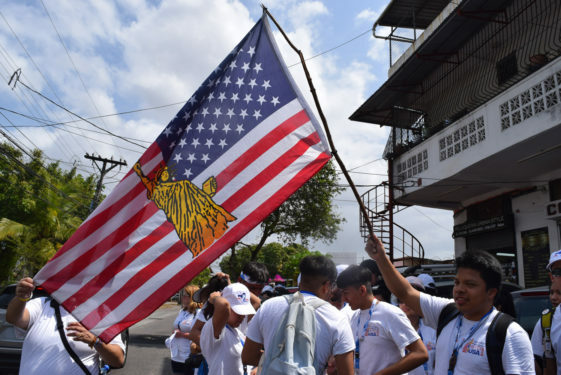 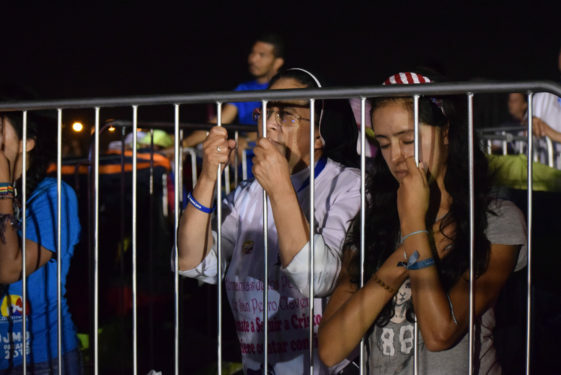 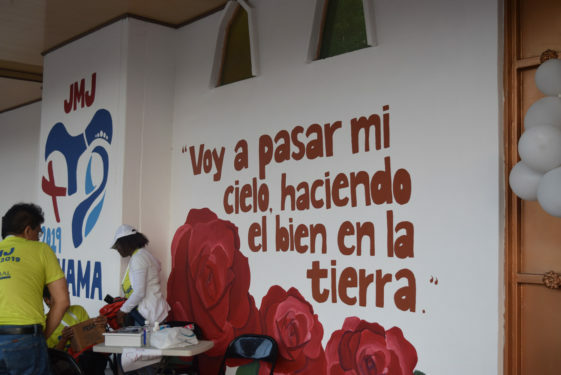 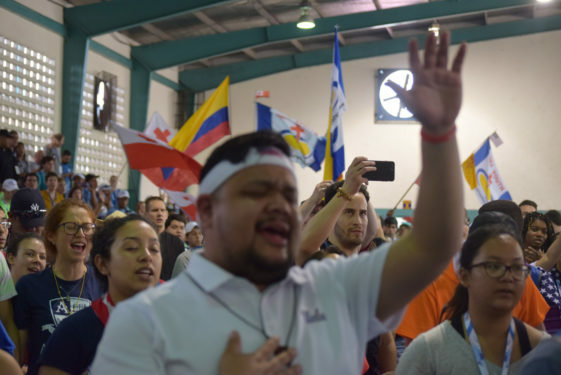 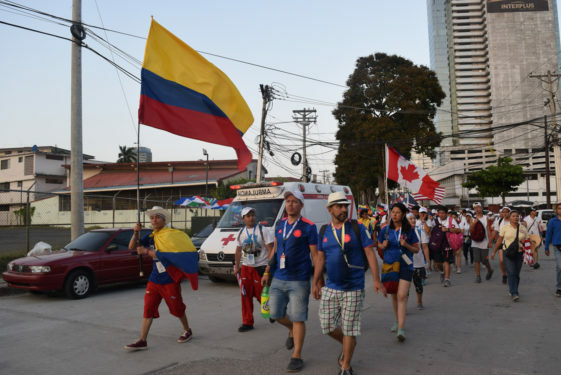 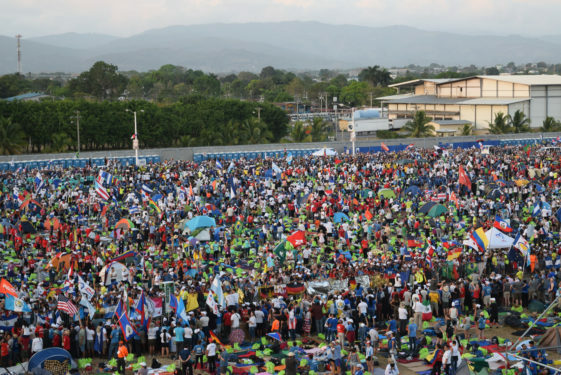 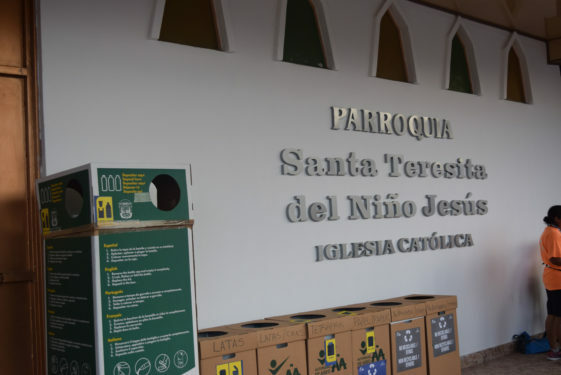 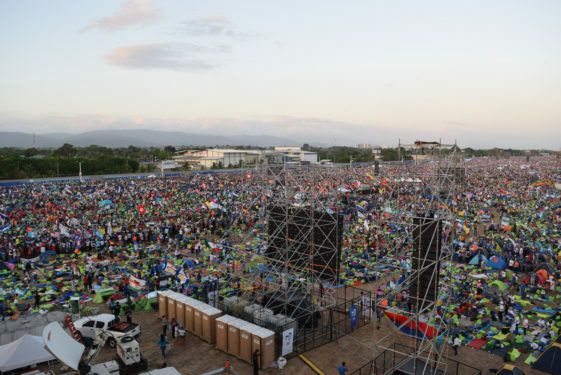 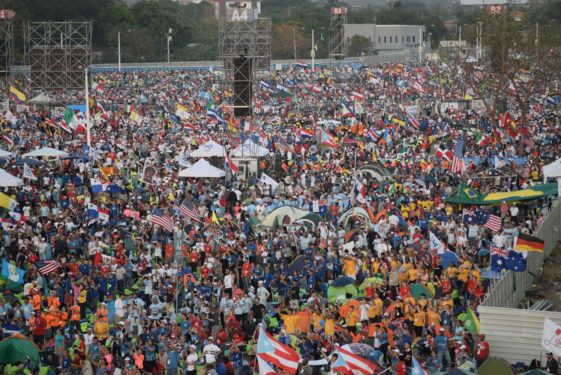 Panamanian Pilgrims Waiting for Pope Francis.